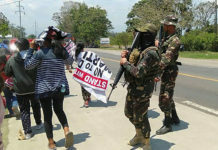 KIDAPAWAN CITY (MindaNews / 13 July) – Communist guerillas operating in the hinterlands of North Cotabato and Bukidnon provinces admitted the killing of a 37-year-old widow whom they accused of giving the Army tips that led to the brutal slay of one of their rebel commanders in Sta. 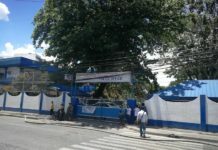 Cruz town in Davao del Sur. 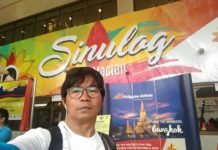 In a text message sent to media in Kidapawan City on Thursday, a top official of the New People’s Army’s (NPA) Front 53 said they meted death on Jocelyn Yala, a widow from President Roxas town in North Cotabato, after they learned she gave the 39th Infantry Battalion vital information as to the whereabouts of a certain Commander Kiram, one of the rebel leaders operating in Davao del Sur and Sarangani provinces. Yala, the rebel said, was a former NPA member who yielded to the Army in 2015 and became a military asset. The NPA official, who requested not to be identified, said Kiram died when ambushed by elements of the 39IB along the boundary of Bansalan in Davao del Sur and Makilala in North Cotabato two months ago. Yala’s body was recovered in a vacant lot along the national highway in Barangay Greenhills, President Roxas, around 7 a.m. Tuesday, days after she went missing. “During the interrogation, she admitted having given the Army tips on how they could possibly execute Commander Kiram,” the rebel leader said. He also read on Yala’s mobile phone the conversations she had with an official of the 39IB a day before Kiram was murdered. Kiram, also a native of President Roxas town, was reportedly a relative of one of the top rebel leaders of NPA Front 53.